Central class for the API that manages rendering/events and is used to place top level components (Form) on the "display". The EDT should not be blocked since paint operations and events would also be blocked in much the same way as they would be in other platforms. In order to serialize calls back into the EDT use the methods callSerially(java.lang.Runnable) & callSeriallyAndWait(java.lang.Runnable). Notice that all Codename One calls occur on the EDT (events, painting, animations etc...), Codename One should normally be manipulated on the EDT as well (hence the callSerially(java.lang.Runnable) & callSeriallyAndWait(java.lang.Runnable) methods). Theoretically it should be possible to manipulate some Codename One features from other threads but this can't be guaranteed to work for all use cases. Indicates that commands should be added to an always visible bar at the bottom of the form. Indicates that the Codename One implementation should decide internally the command behavior most appropriate for this platform. Indicates the classic Codename One command behavior where the commands are placed in a list within a dialog. An attribute that encapsulates '#' int value. Adds a callback to a Media element that will be called when the media finishes playing. Adds a listener for VirtualKeyboard hide/show events. On most platforms it is quite fast to draw on a mutable image and then render that image, however some platforms have much slower mutable images in comparison to just drawing on the screen. Causes the runnable to be invoked on the event dispatch thread. Identical to callSerially with the added benefit of waiting for the Runnable method to complete. Causes the runnable to be invoked on the event dispatch thread when the event dispatch thread is idle. Cancels a local notification by ID. Returns true if executing this URL should work, returns false if it will not and null if this is unknown. Checks to see if you can prompt the user to install the app on their homescreen. This method tries to invoke the device native hardware to capture audio. This method tries to invoke the device native camera to capture images. This method tries to invoke the device native camera to capture video. Same as captureVideo(com.codename1.ui.events.ActionListener), except that it attempts to impose constraints on the capture. Converts the given string from logical bidi layout to visual bidi layout so it can be rendered properly on the screen. Converts the dips count to pixels, dips are roughly 1mm in length. Creates an audio media that can be played in the background. Create the sound in the given stream Notice that an audio is "auto destroyed" on completion and cannot be played twice! Creates a sound in the given URI which is partially platform specific. Creates a Media recorder Object which will record from the device mic to a file in the given path. Creates a soft/weak reference to an object that allows it to be collected yet caches it. Closes down the EDT and Codename One, under normal conditions this method is completely unnecessary since exiting the application will shut down Codename One. Fires the native in place text editing logic, normally you wouldn't invoke this API directly and instead use an API like TextArea.startEditingAsync(), TextArea.startEditing() or Form.setEditOnShow(com.codename1.ui.TextArea). Executes the given URL on the native platform, this method is useful if the platform has the ability to send an event to the app when the execution has ended, currently this works only for Android platform to invoke other intents. Try to exit full-screen mode if the platform supports it. Fires a virtual keyboard show event. this refers to functionality of devices that are no longer sold, not to the devices "flash"
Create a blur image from the given image. Notice: this method might be very slow and should be invoked on a separate thread! It might have platform specific optimizations over getAllContacts followed by looping over individual contacts but that isn't guaranteed. Returns the index of the given char within the source string, the actual index isn't necessarily the same when bidi is involved See this for more on visual vs.
Get a Contact according to it's contact id. This method returns a Contact by the contact id and fills it's data according to the given flags. Return the form currently displayed on the screen or null if no form is currently displayed. Returns the file path of the Database if exists and if supported on the platform. Returns one of the density variables appropriate for this device, notice that density doesn't always correspond to resolution and an implementation might decide to change the density based on DPI constraints. This method allows us to manipulate the drag started detection logic. Returns the image IO instance that allows scaling image files. Gets the invisible area under the Virtual Keyboard. this method doesn't work properly across device and is mocked up here mostly for the case of unit testing. Do not use it for anything other than that! Do not rely on getKeyCode(GAME_*) == keyCodeFromKeyEvent, this will never actually happen! Gets IDs of all contacts that are linked to a given contact. The localization manager allows adapting values for display in different locales thru parsing and formatting capabilities (similar to JavaSE's DateFormat/NumberFormat). This method returns the platform Location Manager used for geofencing. Gets the preferred time (in seconds) between background fetches. Returns the property from the underlying platform deployment or the default value if no deployment values are supported. This method is essentially equivalent to cls.getResourceAsStream(String) however some platforms might define unique ways in which to load resources within the implementation. Indicates the level of SMS support in the platform as one of: CN1Constants.SMS_NOT_SUPPORTED (for desktop, tablet etc. 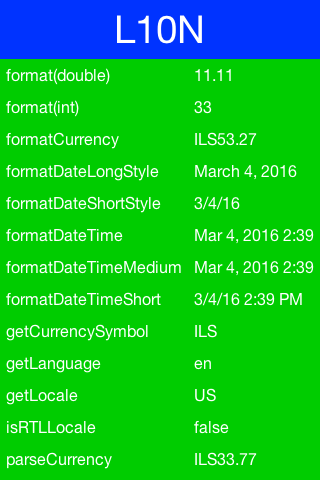 ), CN1Constants.SMS_SEAMLESS (no UI interaction), CN1Constants.SMS_INTERACTIVE (with compose UI), CN1Constants.SMS_BOTH. Returns true if the device has camera false otherwise. This method should be invoked by components that broadcast events on the pointerReleased callback. this method is invoked internally do not invoke it! Installs a replacement sound as the builtin sound responsible for the given sound identifier (this will override the system sound if such a sound exists). Installs the native theme, this is only applicable if hasNativeTheme() returned true. Invokes runnable and blocks the current thread, if the current thread is the EDT it will still be blocked in a way that doesn't break event dispatch . Checks if the altgraph key is currently down. Checks if the alt key is currently down. Normally Codename One folds the VKB when switching forms this field allows us to block that behavior. Checks to see if the current platform supports background fetch. Returns true if the underlying OS supports numeric badges on icons. Indicates whether Codename One should consider the bidi RTL algorithm when drawing text or navigating with the text field cursor. Indicates whether the device has a double layer screen thus allowing two stages to touch events: click and hover. Some platforms allow the user to block contacts access on a per application basis this method returns true if the user denied permission to access contacts. Checks if the control key is currently down. Returns true if we are currently in the event dispatch thread. Checks if async stack traces are enabled. Checks if this platform supports full-screen mode. Checks to see if the given gallery type is supported on the current platform. Indicates if the getAllContacts is platform optimized, notice that the method might still take seconds or more to run so you should still use a separate thread! Checks if the app is currently running in full-screen mode. This method returns true if the Display is initialized. Returns true if this device is jailbroken or rooted, false if not or unknown. Checks if the meta key is currently down. Indicates whether the device supports native in place editing in which case lightweight input logic shouldn't be used for input. Indicates if the native video player includes its own play/pause etc. A pure touch device has no focus showing when the user is using the touch interface. Checks if the device supports disabling the screen display from dimming, allowing the developer to keep the screen display on. Checks if shift key is currently down. The name of this method is misleading due to it's legacy. this method was only relevant for feature phones. You should use TextArea.isEditing() instead. Minimizes the current application if minimization is supported by the platform (may fail). A callback fired when you are allowed to prompt the user to install the app on their homescreen. Opens the device gallery to pick an image or a video. Opens the native navigation app in the given coordinate. Opens a database or create one if not exists. Checks if this platform uses input modes. Plays a builtin device sound matching the given identifier, implementations and themes can offer additional identifiers to the ones that are already built in. Prompts the user to install this app on their homescreen. Register to receive push notification, invoke this method once (ever) to receive push notifications. Removes onComplete callback from Media element. Removes a listener for VirtualKeyboard hide/show events. Try to enter full-screen mode if the platform supports it. Allows executing a background task in a separate low priority thread. Schedules a local notification that will occur after the given time elapsed. Send an email using the platform mail client. Sends a SMS message to the given phone number, the code below demonstrates the logic of detecting platform behavior for sending SMS. Enables or disables async stack traces. Indicates the maximum frames the API will try to draw every second by default this is set to 10. Calling this method with noSleep=true will cause the edt to run without sleeping. Sets the preferred time interval between background fetches. Sets a build hint into the settings while overwriting any previous value. Sets a local property to the application, this method has no effect on the implementation code and only allows the user to override the logic of getProperty for internal application purposes. Indicates if this is a touch screen device that will return pen events, defaults to true if the device has pen events but can be overriden by the developer. Indicates whether a delay should exist between calls to flush graphics during transition. Share the required information using the platform sharing services. This is an internal state flag relevant only for pureTouch mode (otherwise it will always be true). Start a Codename One thread that supports crash protection and similar Codename One features. Allows us to stop editString on the given text component or Form. Vibrates the device for the given length of time, notice that this might ignore the time value completely on some OS's where this level of control isn't supported e.g. Indicates the classic Codename One command behavior where the commands are placed in a list within a dialog. This is the most customizable approach for none touch devices. Deprecated. this method is invoked internally do not invoke it! Closes down the EDT and Codename One, under normal conditions this method is completely unnecessary since exiting the application will shut down Codename One. However, if the application is minimized and the user wishes to free all resources without exiting the application then this method can be used. Once this method is used Codename One will no longer work and Display.init(Object) should be invoked again for any further Codename One call! Notice that minimize (being a Codename One method) MUST be invoked before invoking this method! This method allows us to manipulate the drag started detection logic. If the pointer was dragged for more than this percentage of the display size it is safe to assume that a drag is in progress. Indicates the maximum frames the API will try to draw every second by default this is set to 10. The advantage of limiting framerate is to allow the CPU to perform other tasks besides drawing. Notice that when no change is occurring on the screen no frame is drawn and so a high/low FPS will have no effect then. 10FPS would be very reasonable for a business application. Deprecated. this refers to functionality of devices that are no longer sold, not to the devices "flash"
Returns true if we are currently in the event dispatch thread. This is useful for generic code that can be used both with the EDT and outside of it. Checks if async stack traces are enabled. If enabled, the stack trace at the point of callSerially(java.lang.Runnable) calls will be recorded, and logged in the case that there is an uncaught exception. Currently this is only supported in the JavaSE/Simulator port. Whether async stack traces are enabled. Enables or disables async stack traces. If enabled, the stack trace at the point of callSerially(java.lang.Runnable) calls will be recorded, and logged in the case that there is an uncaught exception. enableAsyncStackTraces - True to enable async stack traces. Allows executing a background task in a separate low priority thread. Tasks are serialized so they don't overload the CPU. IllegalStateException - if this method is invoked on the event dispatch thread (e.g. during paint or event handling). Checks if this platform uses input modes. No current platforms return true for this. It is a holdover from J2ME. True if the platform supports input modes. Only true for J2ME and RIM. Invokes runnable and blocks the current thread, if the current thread is the EDT it will still be blocked in a way that doesn't break event dispatch . Important: calling this method spawns a new thread that shouldn't access the UI! See this section in the developer guide for further information. The name of this method is misleading due to it's legacy. It will return true on the desktop too where the mouse sends pointer events. Indicates whether a delay should exist between calls to flush graphics during transition. In some devices flushGraphics is asynchronious causing it to be very slow with our background thread. The solution is to add a short wait allowing the implementation time to paint the screen. This value is set automatically by default but can be overriden for some devices. initiatingKeycode - the keycode used to initiate the edit. Allows us to stop editString on the given text component or Form. If cmp is a Form, it will stop editing in any active component on the form, and close the keyboard if it is opened. Minimizes the current application if minimization is supported by the platform (may fail). Returns false if minimization failed. Checks if the control key is currently down. Only relevant for desktop ports. Checks if the meta key is currently down. Only relevant for desktop ports. Checks if the alt key is currently down. Only relevant for desktop ports. Checks if the altgraph key is currently down. Only relevant for desktop ports. Checks if shift key is currently down. Only relevant for desktop ports. This method should be invoked by components that broadcast events on the pointerReleased callback. This method will indicate if a drag occured since the pointer press event, notice that this method will not behave as expected for multi-touch events. Return the number of alpha levels supported by the implementation. Returns the number of colors applicable on the device, note that the API does not support gray scale devices. Converts the dips count to pixels, dips are roughly 1mm in length. This is a very rough estimate and not to be relied upon. This version of the method assumes square pixels which is pretty much the norm. Deprecated. this method doesn't work properly across device and is mocked up here mostly for the case of unit testing. Do not use it for anything other than that! Do not rely on getKeyCode(GAME_*) == keyCodeFromKeyEvent, this will never actually happen! Returns the keycode matching the given game action constant (the opposite of getGameAction). On some devices getKeyCode returns numeric keypad values for game actions, this breaks the code since we filter these values (to prevent navigation on '2'). We pick unused negative values for game keys and assign them to game keys for getKeyCode so they will work with getGameAction. Deprecated. this method was only relevant for feature phones. You should use TextArea.isEditing() instead. Sets a listener for VirtualKeyboard hide/show events. The Listener will get an event once the keyboard is opened/closed with a Boolean value that represents the state of the keyboard true for open and false for closed getSource() on the ActionEvent will return the Boolean value. Gets the VirtualKeyboardListener Objects of exists. Adds a listener for VirtualKeyboard hide/show events. ActionEvents will return a Boolean value for ActionEvent.getSource(), with Boolean.TRUE on show, and Boolean.FALSE on hide. Note: Keyboard events may not be 100% reliable as they use heuristics on most platforms to guess when the keyboard is shown or hidden. Removes a listener for VirtualKeyboard hide/show events. ActionEvents will return a Boolean value for ActionEvent.getSource(), with Boolean.TRUE on show, and Boolean.FALSE on hide. Height of the VKB that overlaps the screen. Indicates whether the device has a double layer screen thus allowing two stages to touch events: click and hover. This is true for devices such as the storm but can also be true for a PC with a mouse pointer floating on top. A click touch screen will also send pointer hover events to the underlying software and will only send the standard pointer events on click. Converts the given string from logical bidi layout to visual bidi layout so it can be rendered properly on the screen. This method is only necessary for devices/platforms that don't have "built in" bidi support such as Sony Ericsson devices. See this for more on visual vs. logical ordering. Returns the index of the given char within the source string, the actual index isn't necessarily the same when bidi is involved See this for more on visual vs. logical ordering. This is an internal state flag relevant only for pureTouch mode (otherwise it will always be true). A pureTouch mode is stopped if a user switches to using the trackball/navigation pad and this flag essentially toggles between those two modes. Checks if this platform supports full-screen mode. If full-screen mode is supported, you can use the requestFullScreen(), exitFullScreen(), and isInFullScreenMode() methods to enter and exit full-screen - and query the current state. When running in the simulator, full-screen is only supported for the desktop skin. true if Full-screen mode is supported on this platform. true on success. This will also return true if the app is already running in full-screen mode. It will return false if the app fails to enter full-screen mode. true on success. This will also return true if the app is already NOT in full-screen mode. It will return false if the app fails to exit full-screen mode. true if the app is currently in full-screen mode. Returns the property from the underlying platform deployment or the default value if no deployment values are supported. This is equivalent to the getAppProperty from the jad file. OSVer - OS version when available as a user readable string (not necessarily a number e.g: 3.2.1). data - an input stream containing platform specific audio file, its usually safe to assume that wav/mp3 would be supported. Creates a sound in the given URI which is partially platform specific. Notice that an audio is "auto destroyed" on completion and cannot be played twice! media - The media to add the callback to. onCompletion - The callback that will run on the EDT when the playback completes. media - The media element. Creates a soft/weak reference to an object that allows it to be collected yet caches it. This method is in the porting layer since CLDC only includes weak references while some platforms include nothing at all and some include the superior soft references. Installs the native theme, this is only applicable if hasNativeTheme() returned true. Notice that this method might replace the DefaultLookAndFeel instance and the default transitions. On most platforms it is quite fast to draw on a mutable image and then render that image, however some platforms have much slower mutable images in comparison to just drawing on the screen. These platforms should return false here and Codename One will try to use less mutable image related optimizations in transitions and other operations. This method tries to invoke the device native camera to capture images. The method returns immediately and the response will be sent asynchronously to the given ActionListener Object The image is saved as a jpeg to a file on the device. use this in the actionPerformed to retrieve the file path String path = (String) evt.getSource(); if evt returns null the image capture was cancelled by the user. Same as captureVideo(com.codename1.ui.events.ActionListener), except that it attempts to impose constraints on the capture. Constraints include width, height, and max length. Not all platforms support capture constraints. Use the VideoCaptureConstraints.isSupported() to see if a constraint is supported. If constraints are not supported at all, then this method will fall back to calling captureVideo(com.codename1.ui.events.ActionListener). constraints - Capture constraints to use. E.g. within the callback action performed call you can use this code: String path = (String) evt.getSource();. Version 5.0 and higher support multi-selection (i.e. the types CN1Constants.GALLERY_IMAGE_MULTI, CN1Constants.GALLERY_VIDEO_MULTI, and CN1Constants.GALLERY_ALL_MULTI). When using one of the multiselection types, the source of the ActionEvent will be a String, containing the paths of the selected elements, or null if the user cancelled the dialog. Currently (version 5.0 and higher), all platforms support the types CN1Constants.GALLERY_IMAGE, CN1Constants.GALLERY_VIDEO, CN1Constants.GALLERY_ALL, CN1Constants.GALLERY_IMAGE_MULTI, CN1Constants.GALLERY_VIDEO_MULTI, CN1Constants.GALLERY_ALL_MULTI. On iOS, multi-selection requires a deployment target of iOS 8.0 or higher, so it is disabled by default. You can enable multi-selection on iOS, by adding the ios.enableGalleryMultiselect=true build hint. This build hint will be added automatically for you if you run your app in the simulator, and it calls openGallery() with one of the multiselect gallery types. response - a callback Object to retrieve the file path For multiselection types (CN1Constants.GALLERY_IMAGE_MULTI, CN1Constants.GALLERY_VIDEO_MULTI, and CN1Constants.GALLERY_ALL_MULTI), the source of the ActionEvent sent this callback will be a String. For other types, it will be a String. If the dialog was cancelled, it will be null. type - one of the following CN1Constants.GALLERY_IMAGE, CN1Constants.GALLERY_VIDEO, CN1Constants.GALLERY_ALL, CN1Constants.GALLERY_IMAGE_MULTI, CN1Constants.GALLERY_VIDEO_MULTI, CN1Constants.GALLERY_ALL_MULTI. RuntimeException - if this feature failed or unsupported on the platform. Use isGalleryTypeSupported(int) to check if the type is supported before calling this method. To see if a type is supported on the current platform. Place a notification on the device status bar (if device has this functionality). Clicking the notification might re-start the Application. Notice: this method might be very slow and should be invoked on a separate thread! It might have platform specific optimizations over getAllContacts followed by looping over individual contacts but that isn't guaranteed. See isGetAllContactsFast for information. Gets IDs of all contacts that are linked to a given contact. 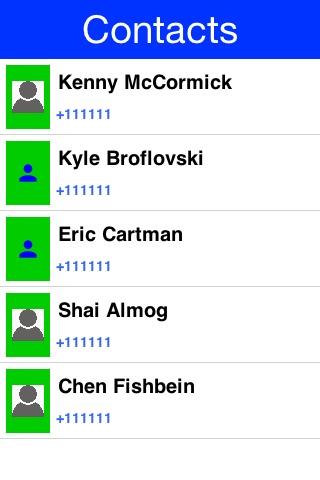 Some platforms, like iOS, allow for multiple distinct contact records to be "linked" to indicate that they refer to the same person. c - The contact whose "linked" contacts are to be retrieved. Some platforms allow the user to block contacts access on a per application basis this method returns true if the user denied permission to access contacts. This can allow you to customize the error message presented to the user. true if the underlying platform handles share. Share the required information using the platform sharing services. a Sharing service can be: mail, sms, facebook, twitter,... This method is implemented if isNativeShareSupported() returned true for a specific platform. toShare - String to share. text - String to share. sourceRect - The source rectangle of the button that originated the share request. This is used on some platforms to provide a hint as to where the share dialog overlay should pop up. Particularly, on the iPad with iOS 8 and higher. The localization manager allows adapting values for display in different locales thru parsing and formatting capabilities (similar to JavaSE's DateFormat/NumberFormat). It also includes language/locale/currency related API's similar to Locale/currency API's from JavaSE. noFallback - some devices don't support an efficient push API and will resort to polling to provide push like functionality. If this flag is set to true no polling will occur and the error PushCallback.REGISTRATION_ERROR_SERVICE_NOT_AVAILABLE will be sent to the push interface. 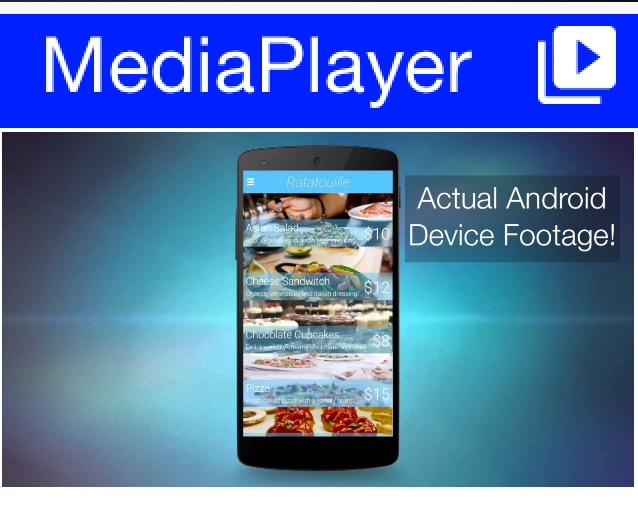 Creates a Media recorder Object which will record from the device mic to a file in the given path. The output format will be amr-nb if supported by the platform. path - a file path to where to store the recording, if the file does not exists it will be created. Opens a database or create one if not exists. On platforms where isDatabaseCustomPathSupported() this method can optionally accept a file path. r - runnable to run, NOTICE the thread MUST be explicitly started! a thread instance which must be explicitly started! Deprecated. Use the cn1-codescanner cn1lib. the value from the picker or null if the operation was canceled. n - The notification to schedule. Sets the preferred time interval between background fetches. This is only a preferred interval and is not guaranteed. Some platforms, like iOS, maintain sovereign control over when and if background fetches will be allowed. This number is used only as a guideline. Note: If the platform doesn't support background fetch (i.e. isBackgroundFetchSupported() returns false, then this method does nothing. seconds - The time interval in seconds. The time interval in seconds. True if the current platform supports background fetch. true if gaussian blur is supported. true if this device is jailbroken or rooted, false if not or unknown. Sets a build hint into the settings while overwriting any previous value. This will only work in the debug environment and it's designed to allow extensions/API's to verify user settings/build hints exist. Important: this will throw an exception outside of the simulator! Best practice is to use onCanInstallOnHomescreen(java.lang.Runnable) to be notified when you are allowed to prompt the user for installation. Then call promptInstallOnHomescreen() inside that method - or sometime after. True if you are able to prompt the user to install the app on their homescreen. The result of the user prompt. true if the user accepts the installation, false if they reject it. r - Runnable that will be run when/if you are permitted to prompt the user to install the app on their homescreen.